On 12 December we sang in Eldon Square on behalf of the Samaritans, and helped to raise an amazing £1253. Thank you to everyone who came along to support us. 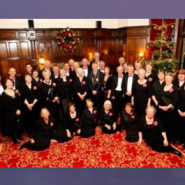 On 19 December we were pleased to have 2 slots singing in The Alnwick Garden. Looking forward to next year………. !